Air Operated Double Diaphragm Transfer Pumps | EGM, LLC. 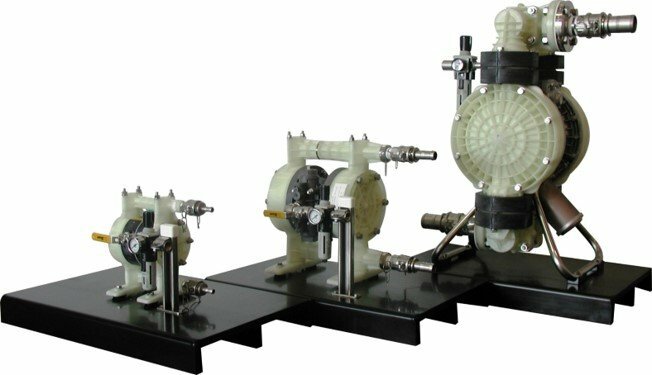 For economical transfer or recirculation pumping systems, EGM constructs air operated diaphragm pump units in multiple capacities and configurations. These systems can be built with one or more pumps on either a stainless steel or thermoplastic base. The systems can be accessorized with the required components that make a turn-key operation including air filters, regulators, solenoid valves, pulsation dampeners, inlet and discharge isolation valves, and control panels.